Now that season 6 has dropped I wanted to come back to the game and see how things have been faring. I noticed I was removed from the fleet and here is my re-app. 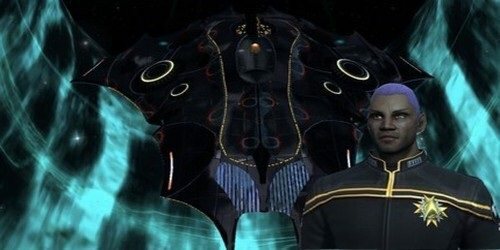 Please list former STO fleets (if any): 12th Fleet and a fleet I had with some RL friends when I first started the game but it no longer exists nor can I remember the name. What made you interested in choosing the 12th fleet? With season 6 and the ability to make fleet starbases I want to contribute what I can. What days and times are you usually online? : I dont normally have a set schedule but with season 6 being deployed I have been playing for a few hours every day. Have you ever played an MMORPG? If so, which one and how long: Ultima Online, Shadowbane, WoW, AOC, Eve Online, Tera, The Secret World, Warhammer etc etc. In a paragraph please explain how you will benefit the 12th fleet? When I was a member I was able to help up and comers with gear and advice. I made some serious cash before I took a break due to crafting and if crafting is still profitable I will be able to help out cash wise for anyone who needs it. I plan on starting where I left off with crafting and running sectors for materials. Welcome back to the forums and good luck on your app. Eureka! That was it!. All my RL friends who dont play are still a member of that fleet. That was way before STO went F2P. Welcome to Tactical and Delta. I'll throw you a invite, in-game later on today or tomorrow.